The ChronoTrack system allows event organizers to focus their energy elsewhere, not only on the days leading up to an event but also on race day. 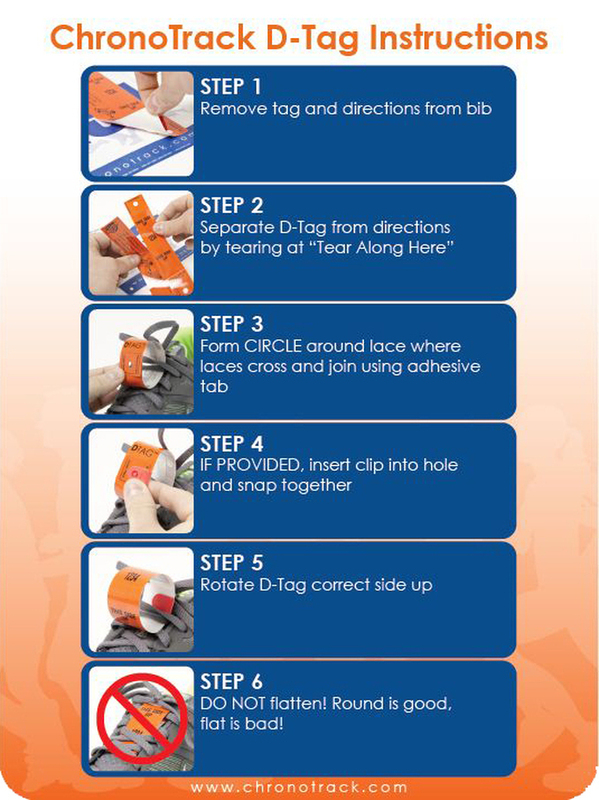 Since the D-tag can be attached to a race bib the additional effort and organizational needs to distribute thousands of timing devices disappears. The ChronoTrack system utilizes the single-use D-tag relieving the headache of collecting timing devices as well. All this leads event organizers to having additional volunteers and energy to be used where they are needed instead of focusing on the demands of a complicated timing system. The ChronoTrack system is not only easier, but it is also more cost effective. The tag cost has been significantly reduced to the point where they can be safely disposed of after a race while preserving the quality and accuracy needed for a timing system. Check out info on the D-Tag and B-Tag below! We can provide LIVE results through a on-site display, website, and mobile applications.